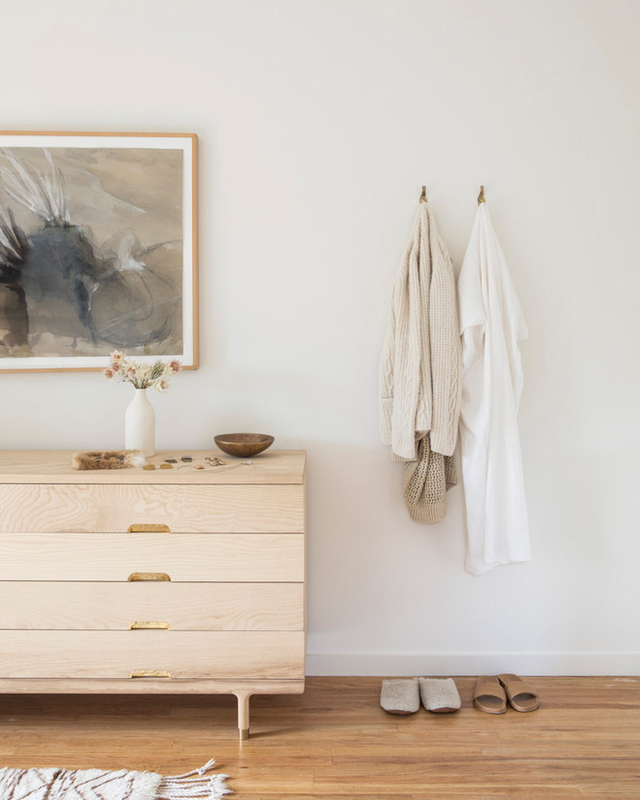 Something the new wave of Californian creatives do so well is an interior style, and feeling, I call warm minimalism. 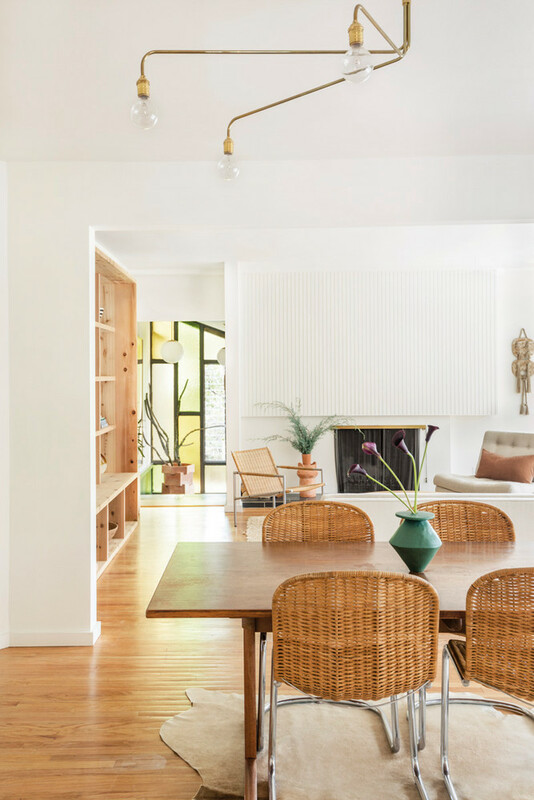 These images are from the home of designer Rachel Craven in Chevy Chase Canyon on the outskirts of Los Angeles. The feeling has to do with the light. The light in Los Angeles is so wonderfully pure and soft it makes everything look dreamy. 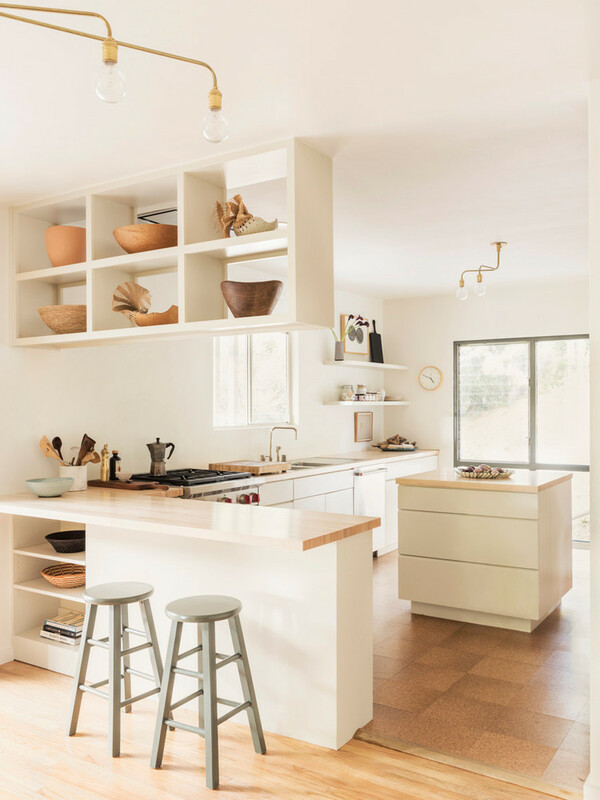 Other key factors must be light neutral colors, wooden floors and furniture, handmade objects, art, and the Californian sense of ease. 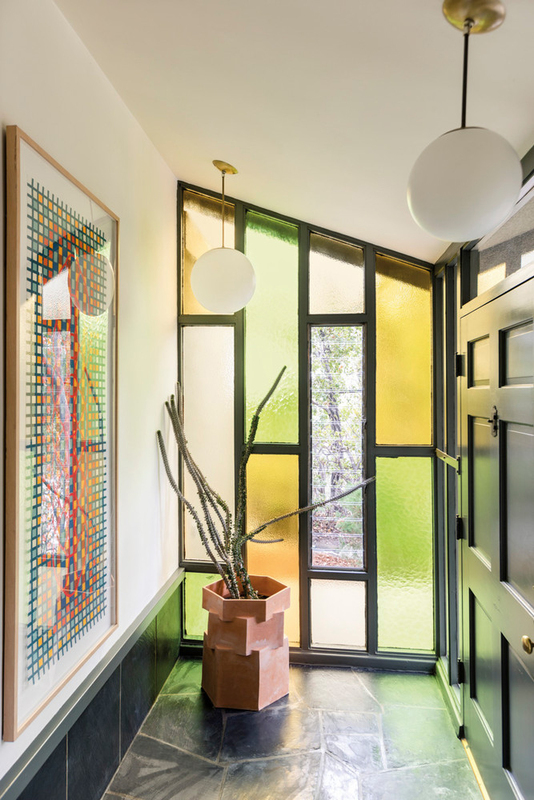 In this home, I especially love the stained glass windows near the entrance, and the abundance of unique ceramic bowls, vases and planters. The gorgeous terracotta planter by the window is by Bari Ziperstein. I wonder what the space looks like when there are books and papers and toys and devices sailing around. suddenly the sense of harmony and order will be very easy to maintain. All photos are by Laure Joliet for Domino Magazine Winter 2017 issue. Find the full home tour here.